The Adult Webmaster Empire is the web's premiere live webcam affiliate program, promoting live webcams of the world's Nr.1. live cam site, and helping webmasters earn a living with the best converting tools, programs and special offers. Join us to become the Ace of the Cam Game! 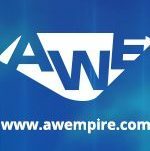 Welcome to AWE - explore all our advantages!